What features does the "Manage Account" interface provide? 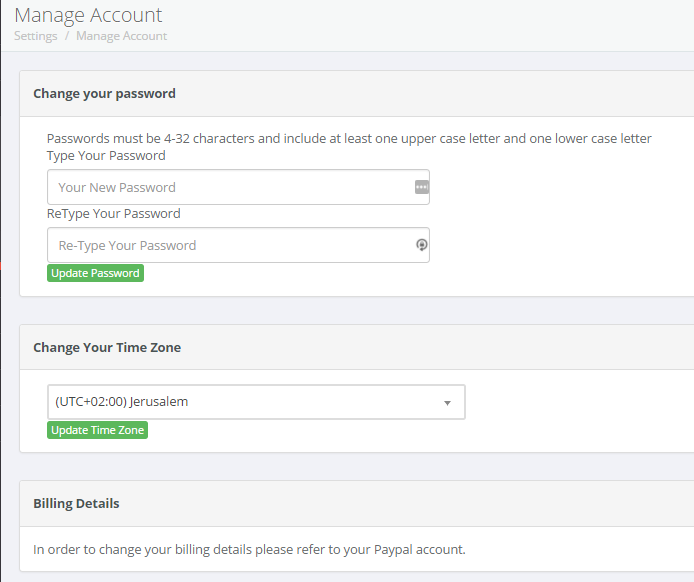 On this page, you will be able to change your account's password and you will also have the option to change the time-zone for your account. If the time zones on our service and on Google/Bing are not properly synced, there may be discrepancies in the data shown. This is a common error. Lastly, this page will allow you to view and modify your billing details (assuming you are using credit card in order to pay for our services).